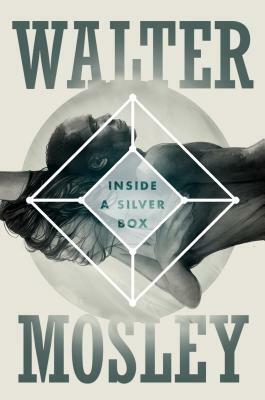 Walter Mosley's talent knows no bounds. Inside a Silver Box continues to explore the cosmic questions entertainingly discussed in his Crosstown to Oblivion. From life's meaning to the nature of good and evil, Mosley takes readers on a speculative journey beyond reality. In Inside a Silver Box, two people brought together by a horrific act are united in a common cause by the powers of the Silver Box. The two join to protect humanity from destruction by an alien race, the Laz, hell-bent on regaining control over the Silver Box, the most destructive and powerful tool in the universe. The Silver Box will stop at nothing to prevent its former master from returning to being, even if it means finishing the earth itself. WALTER MOSLEY is one of the most versatile and admired writers in America today. He is the author of more than thirty-four critically acclaimed books, including the major bestselling mystery series featuring Easy Rawlins. Mosley’s short fiction has been widely published, and his nonfiction has appeared in The New York Times Magazine and The Nation. He is the winner of numerous awards, including an O. Henry Award, a Grammy, and PEN American Center’s Lifetime Achievement Award. He lives in New York City.